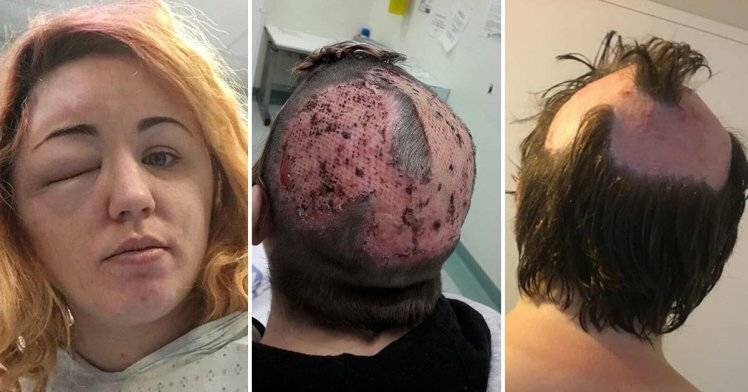 A woman, Kirsty Weston has ended up in the hospital after a failed attempt at dying her hair. 29-year-old Kirsty used an at-home bleaching kit, bought from a a shop on the high street to try to lighten her dark hair, but ended up in the hospital for six weeks, partially bald and suffering from severe chemical burns. The box of dye included sachets of powder bleach, which needed to be mixed with peroxide. Kirsty mixed them both, claiming she applied the dye according to the instructions, but just before she was about to wash out the bleach after 15 minutes, she experienced a burning sensation. Within 15 minutes, my hair was literally smoking.The pain was so excruciating that I started to feel dizzy, like I was going to faint. ‘It happened quite suddenly. I could feel that it was quite warm, but it got so much worse very quickly. ‘I immediately went to wash it all off, but I think had already got into my scalp. By the next day, Kirsty already had a swollen face, with her right eye badly shut. 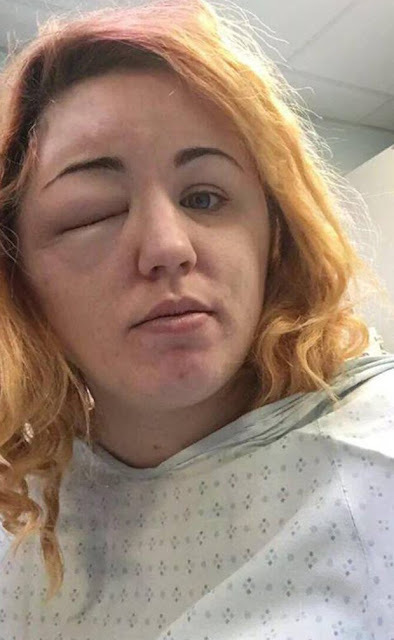 ‘Half my face started to balloon and I thought it was a reaction,’ She explained. ‘The next morning I went to A&E at Watford General as at that stage, I couldn’t open my left eye. It was getting really painful. She was prescribed antibiotics and treated for allergies but the pain wouldn't subside. She went back to the hospital on 23 February, then the doctors discovered her to have had severe burns. 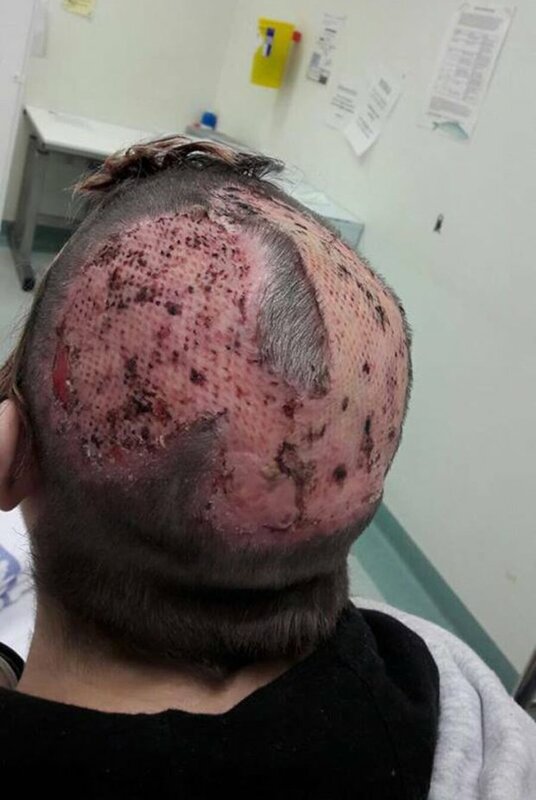 A plastic surgeon came to see me and when they lifted my hair, most of my scalp came away with it,’ says Kirsty. ‘I was a complete emotional wreck. 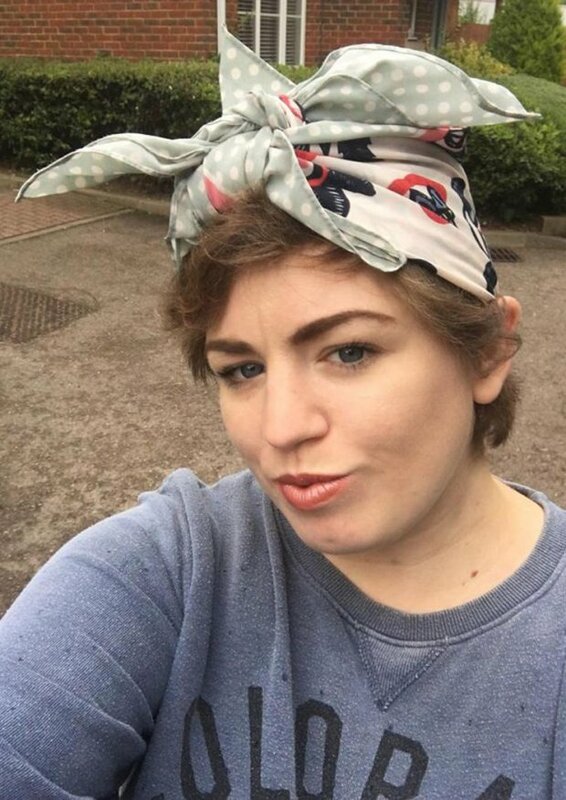 Kirsty was then transferred to another hospital where her hair was shaved off, and the wound cleaned, before sending her into the operation. She ended up having to have five operations, and a skin graft. 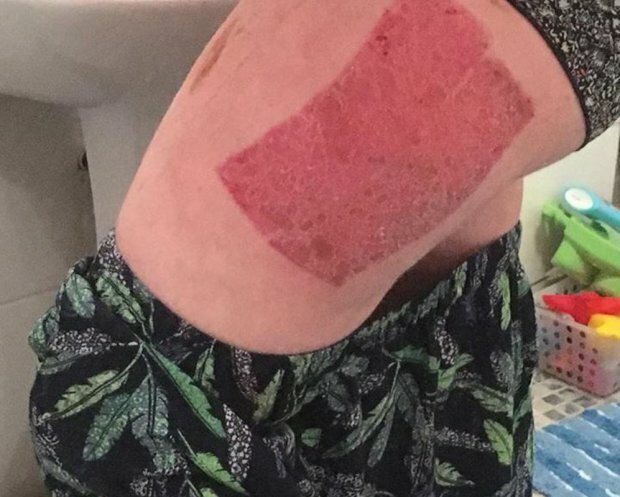 Doctors had to replace the skin Kirsty had lost on her head with skin from her thigh. And from the look of things, Kirsty may never be able to grow hair in her bald patches again.